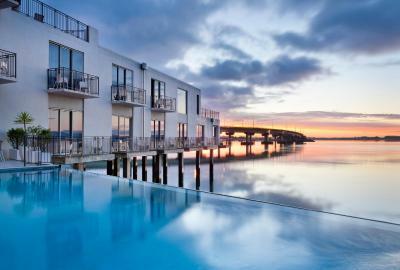 Ideally positioned in the Bay of Plenty, the 4-star Trinity Wharf Tauranga hotel overlooks the Tauranga Harbour. It features a swimming pool, a fitness centre and free parking. Guests have access to unlimited free WiFi during their stay. 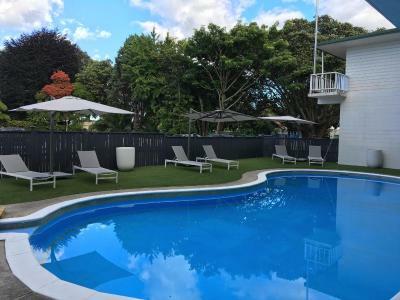 Located in the heart of Tauranga city centre, Hotel Armitage offers spacious rooms with LCD TV and air conditioning. Facilities include a tepid outdoor swimming pool, room service and 24-hour reception. Offering modern rooms with a private balcony and a microwave, Hotel on Devonport is just 10 minutes’ drive from Ocean Beach. All guests receive a welcome drink and a free daily newspaper.